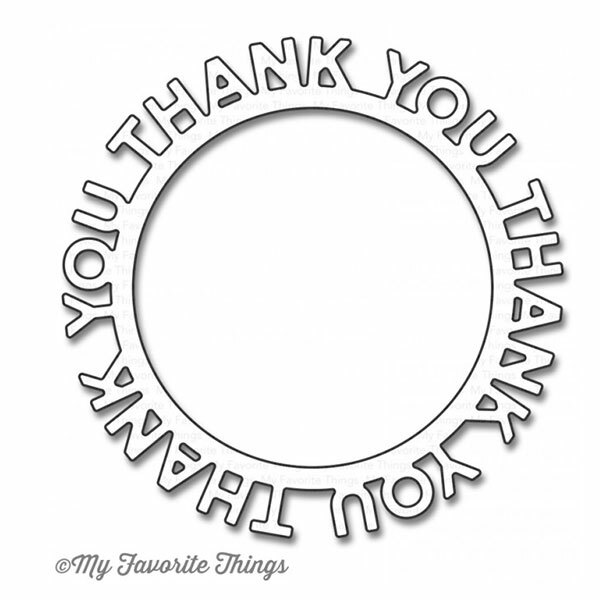 Die-namics Thank You Circle Frame by My Favorite Things. 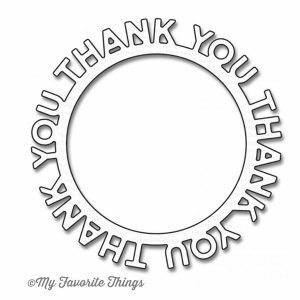 Say thanks in style with this festive, text-based frame. Use it as a layering piece or frame for images, die-cuts, shaker assemblies, or even photos! 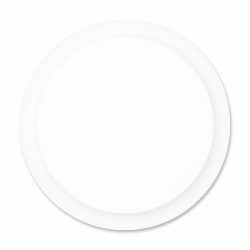 It is sized to coordinate with the Circle Shaker Pouches. 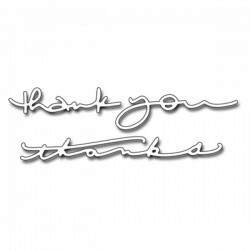 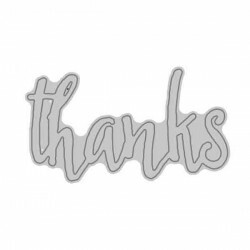 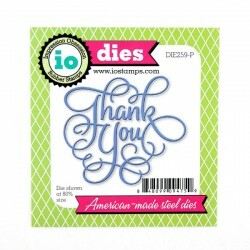 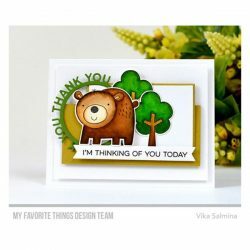 The Thank You Circle Frame Die-namics measures 2 ¾”.